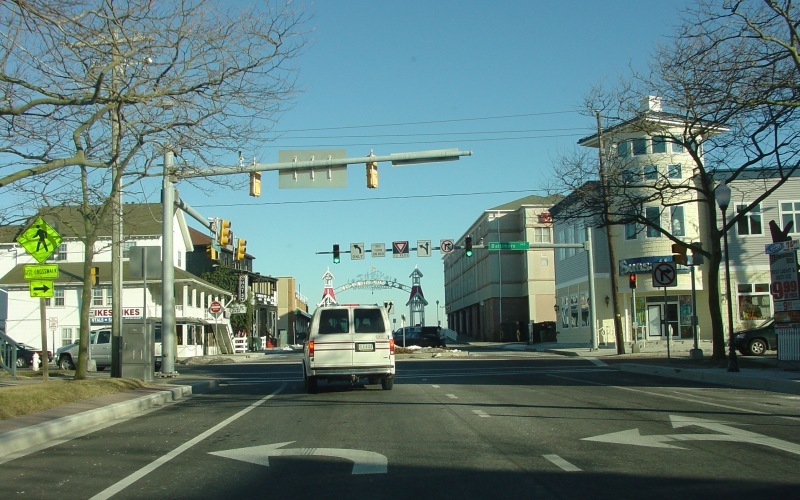 According to MD route logs, US 50 extends east to Baltimore Ave (MD 378) here in Ocean City. No end signage was present. Photo by Adam Froehlig, taken January 31, 2004. 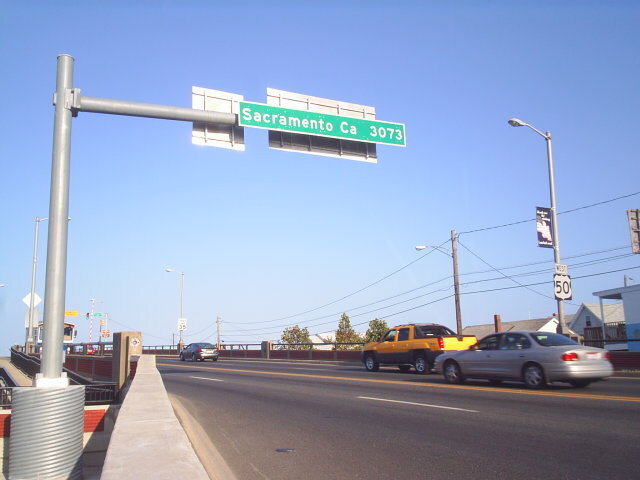 About a block and a half to the west, one sees the first westbound US 50 shield, as well as a distance sign to US 50's other end in Sacramento, CA. Photo by Doug Kerr, taken September 25, 2005.